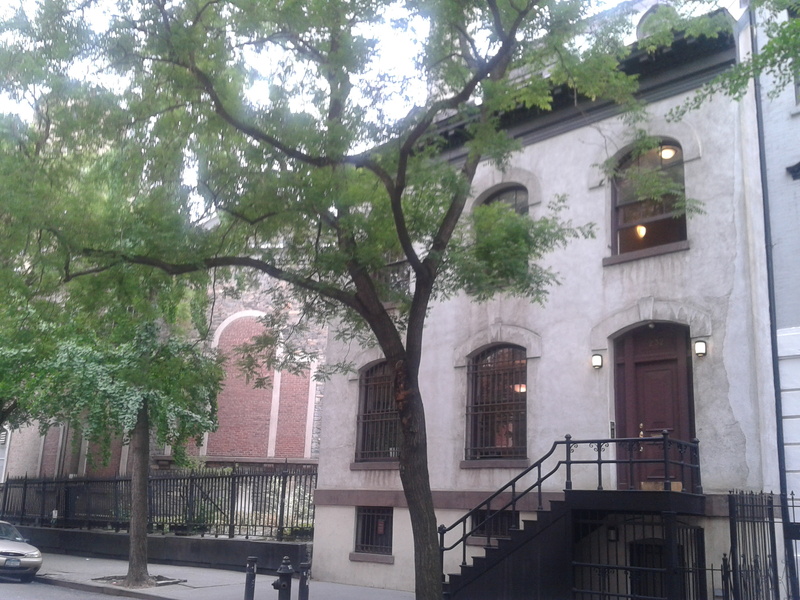 This summer, I have had the wonderful opportunity to intern at the Greenwich Village Society for Historic Preservation. Through my time working here, I have been exposed to the inner workings of this dynamic community preservation organization and have been fortunate to experience firsthand how the various aspects of research, preservation, and community outreach tie together. 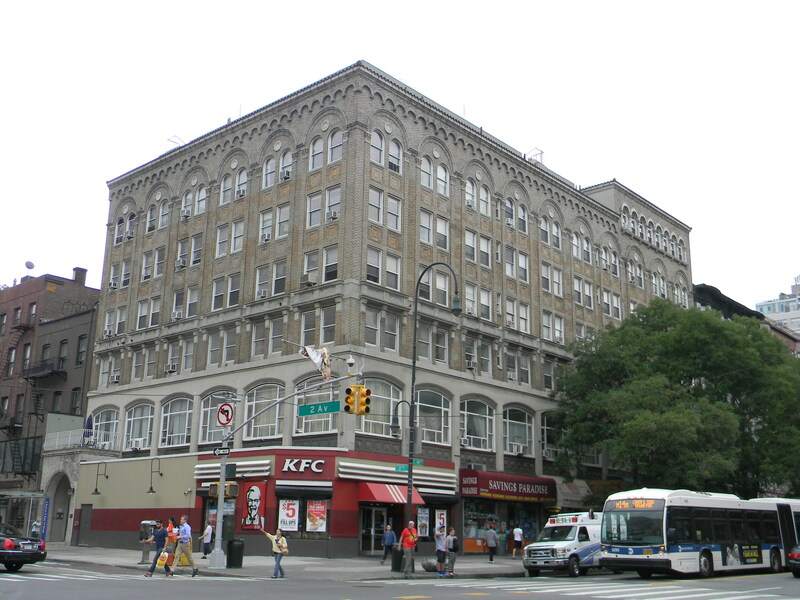 I started work as a building research intern, tasked with writing significance statements to submit to the Landmarks Preservation Commission for several buildings in the East Village that GVSHP would like to see landmarked. The building I am currently researching and writing about is No. 223 East Second Avenue, a 1924 Italian Renaissance Revival structure by noted New York City architect, Emery Roth. Drawing on all the research skills gained from Studio I, I discovered a wealth of information about the historic use of the building, as the headquarters of a unique institution known as the Labor Temple. Dubbed New York’s most radical church, the Labor Temple is significant in the American Protestant social gospel movement and for its contributions to the immigrant working class of the Lower East Side during its operation in the first half of the twentieth century. Through an examination of original drawings in the Avery Archives, historical newspaper articles, books, and even a PhD dissertation, I discovered some fascinating facts about the building. For instance, a subway platform was proposed for the building, and a sealed copper box containing construction documents from the cornerstone of the 1850s church building that had previously occupied the site can be found in the cornerstone of the new building. It remains to be seen if the building can be considered significant enough to landmark despite the unfortunate alterations to the ground floor. Other research projects I have worked on include conducting supplementary research to strengthen GVSHP’s case for saving four buildings from de-calendaring in the LPC’s Backlog95 initiative. We also receive research requests from the public. An interesting task was putting together a dossier for an author interested in tracking the addresses of two Greenwich Village clubs- the Pirates’ Den and the Blue Horse- owned by an eccentric figure, Don Dickermann, who was obsessed with pirates and enjoyed dressing up as one too. Beyond research, I attend and take notes at Community Board and LPC hearings, and have had the privilege to testify at the latter. I am also proud to have been present to garner support for and witness the historic landmarking of the Stonewall Inn, as a site significant in LGBT history. This action may signal a shift in the LPC toward paying greater attention to cultural significance (not just architectural significance) and to the histories of minority groups. 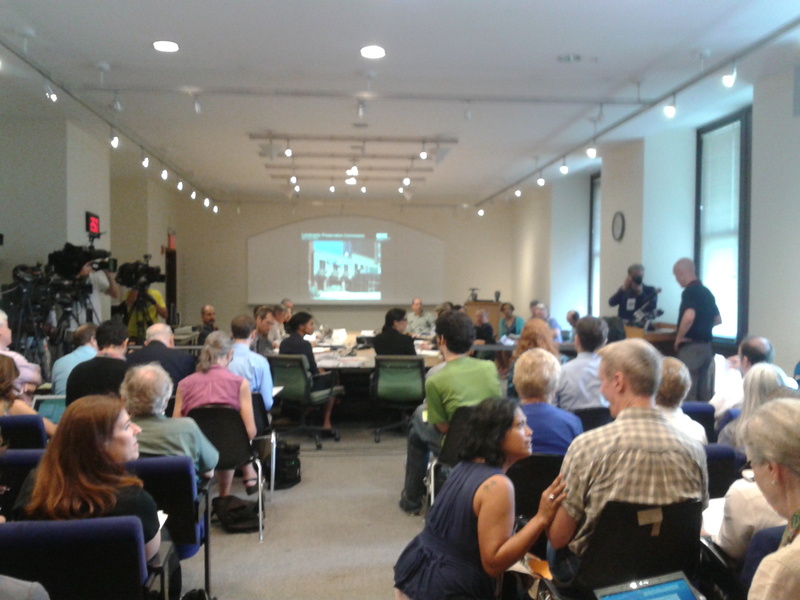 Stonewall Inn Designation Hearing at LPC, June 23, 2015. GVSHP Executive Director Andrew Berman testifies in favor of designation. Change was also taking place within GVSHP. Last week, my internship supervisor, Amanda Davis (Class of ’06), left her post as the director of research and preservation. Thanks to the knowledge I gained in my first year in the Columbia HP Program, I have been able to step in to assist in covering some of her responsibilities in the interim, primarily updating GVSHP’s Landmarks webpage, which keeps the public informed about Certificate of Appropriateness (C of A) applications affecting the buildings in the Greenwich Village, East Village, and NoHo historic districts. There are also plenty of other opportunities to get involved in special events. 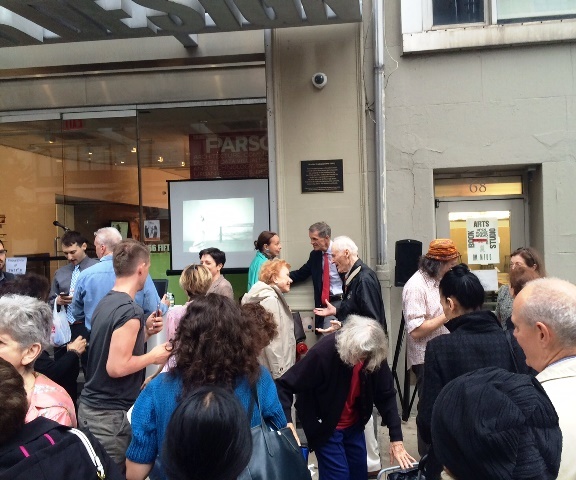 GVSHP recently installed a plaque commemorating the innovative dancer, Martha Graham, at the site of one of her studios. 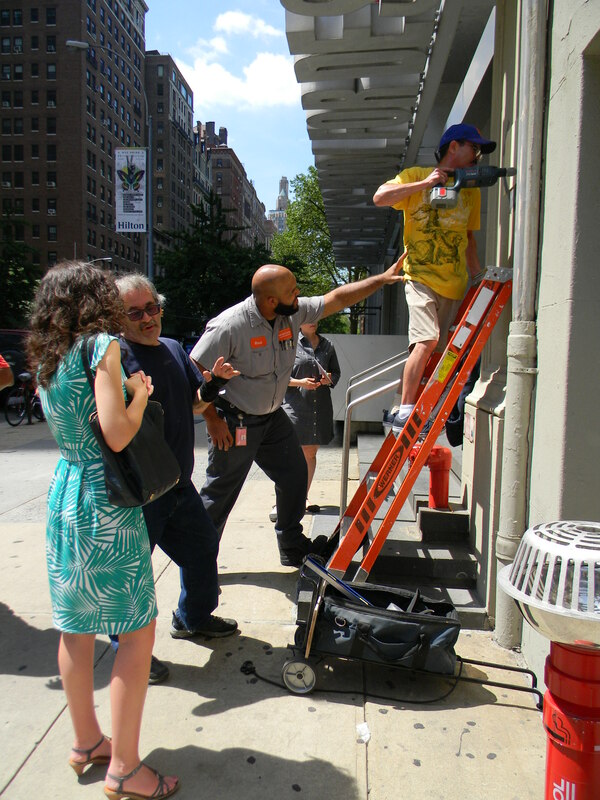 I photo documented and learned about the complex process of installing a plaque on a building, and felt the sense of community pride at the unveiling (Check it out at 66 5th Avenue!). 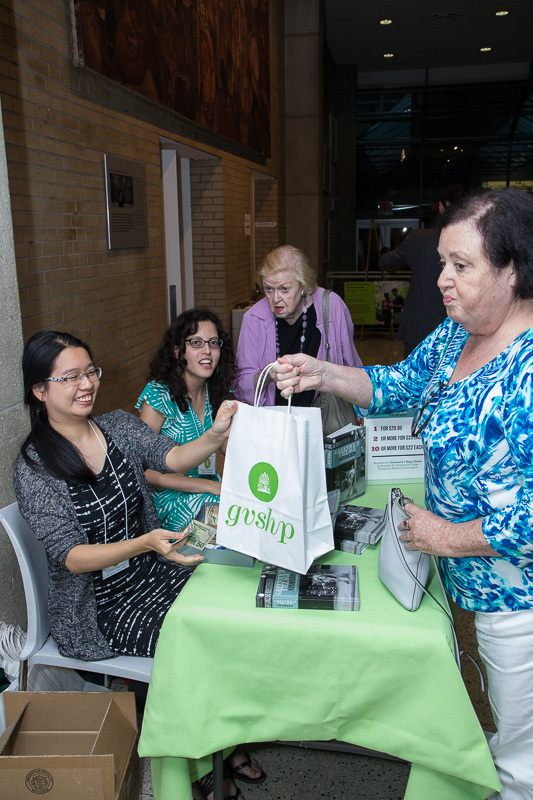 Other assignments include selling GVSHP’s Greenwich Village Stories book at the Annual Village Awards ceremony, which recognizes residents who have made a difference in their communities, and delivering GVSHP’s Anthemion newsletters to the landmarked artists’ residence of Westbeth. To top this all off, no preservationist can resist the opportunity to walk around historic neighborhoods, armed with a camera, of course. I have enjoyed being out and about the beautiful and vibrant districts that GVSHP aims to preserve, taking photographs for the significance statements, blog posts, or of individual landmarks in celebration of the 50th Anniversary of New York City’s landmarks law. Working in our cozy office in the historic Ernest Flagg rectory of the St. Mark’s-in-the-Bowery Church and having lunch in the garden or out at one of the many diverse establishments the East Village has to offer on “Try Things Thursday” isn’t so bad either! Looking back, it has been a superb summer internship experience with many exciting projects to keep me busy and interested. I am very grateful to Amanda Davis, who was a wonderful internship supervisor, and to all the GVSHP staff for fostering such a great working and learning environment.